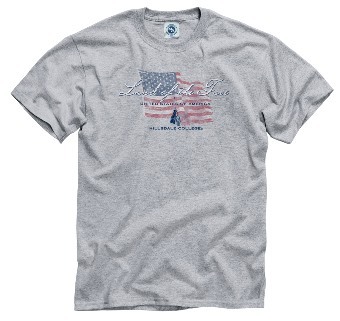 Gray t-shirt with red, white and blue imprint. Made of 50% cotton/50% polyester. Imprinted. Please select option for T-SHIRT - GRAY LAND OF FREE FLAG.